Art enriches communities and saves lives! Your gift supports veterans and the arts! My name is Tina Drakulich, My son, David J. Drakulich was an artist. He became a soldier soon after the 9-11 attacks when he felt that his personal freedoms were at stake. In 2004, joined the US Army and served over 4 years with 3 deployments. 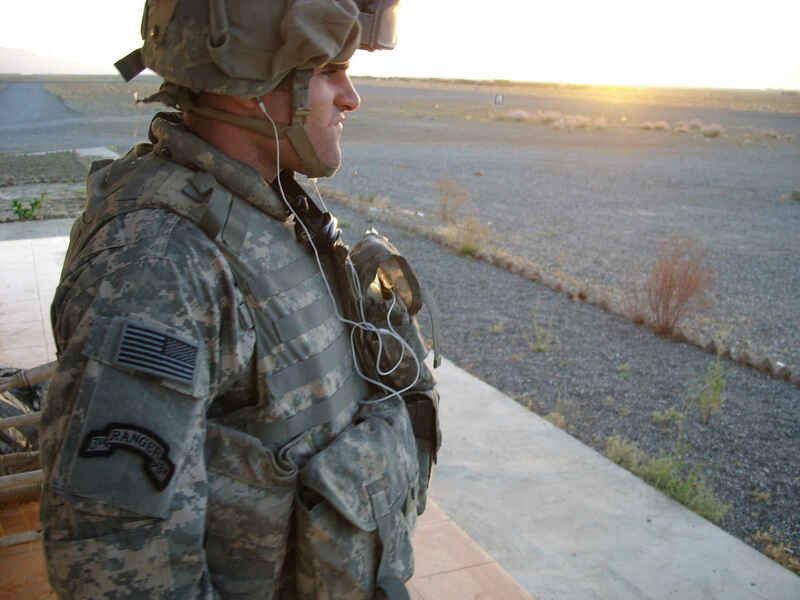 He earned many commendations as an Airborne Ranger serving with the 82nd Airborne, including a Bronze Star and Purple Heart before he lost his life on January 9, 2008, in Afghanistan in the Global War against Terror. This is the reason behind David J. Drakulich Foundation For Freedom of Expression (DJD Foundation). Since 2009, DJD Foundation has been serving the veteran and military connected community with art and recreation programming. David J. Drakulich Foundation For Freedom of Expression's mission is to provide art programming to the military connected community, aiding reintegration, assisting with wellness, informing the civilian community of military service and related issues through the arts. DJD Foundation knows that the arts enrich communities and raise quality of life. We empower and showcase the wellness of veterans. We create art, recreation and social resources that support individuals as they improve and develop the quality of their own lives, one veteran at a time, one community at a time because ART HEALS WAR WOUNDS! 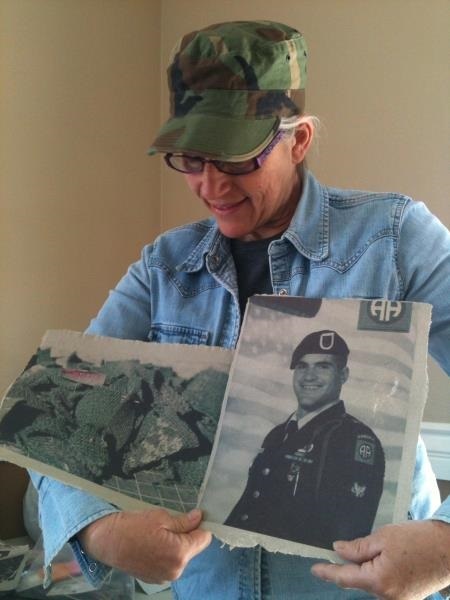 Our programs include The Veterans Art Project, Time4Art at Potentialist Workshop, Combat Paper Nevada (I am holding my first Combat Paper Art in the picture above), Northern Nevada Veterans Writing Project, NV Citizens Helping Troops and Sgt. David J. Drakulich Memorial Scholarship at Truckee Meadows. Please go to www.arthealswarwounds.com for more information on these programs. Over these years, we have found that art truly does heal war wounds. We also found that the arts begin to address issues of suicide and substance abuse. Other benefits include community enrichment through art and dialogue. Perhaps, more importantly, mutual understandings about veterans issues and military service begin to develop when our art programming has community audiences. For more information about our programming, please go to www.arthealswarwounds.com . Our Veterans need our help and support . I know that art is a comfort to me, too. In memory of my daughter, Rebecca J. Frank. DJD ART FOUNDATION, You do awesome work and I celebrate you. Thank you for your dedication!